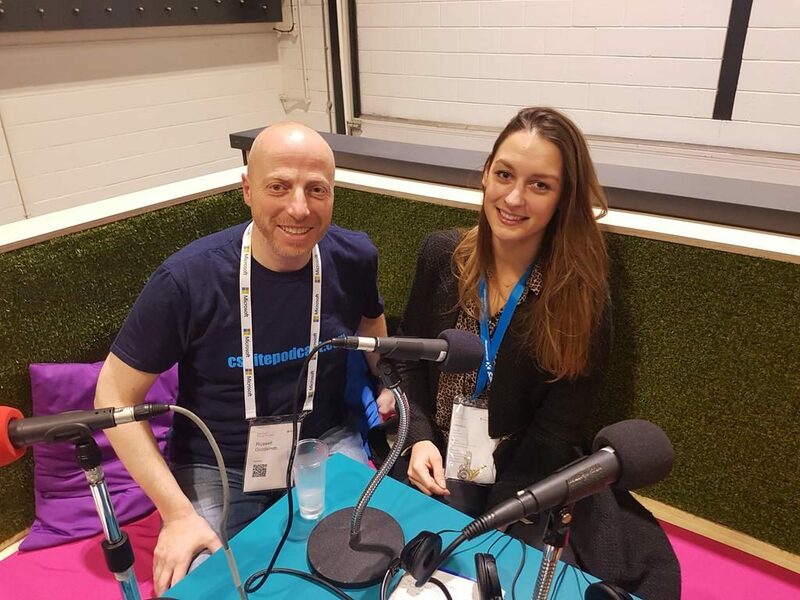 To kick off the three episodes recorded in partnership with Microsoft from their fourth Future Decoded event at ExCeL London, Russell Goldsmith spoke with Clare Barclay, COO of Microsoft UK. Clare was one of the opening keynote speakers where she launched Microsoft’s new report ‘Creating a culture of digital transformation’. Clare said that in the last 12 months, the main thing she has heard from [Microsoft] customers is that as well technology change, they are struggling with the cultural and people aspects of digitally transforming their businesses. The report that Clare was launching therefore focuses on helping organisations understand how to overcome some of the cultural challenges faced when embedding technology change. She added that report focussing in on how to help deal with some of the fear and anxiety that employees may face with change. One thing that stood out in the report’s findings, as mentioned in its Foreword by Cindy Rose, Microsoft UK CEO and Area Vice President, was that whilst 53% of UK businesses & IT leaders that were surveyed in the report forecast digital disruption in the coming two years, 57% have no formal digital transformation strategy in place to deal with it and many are struggling to capitalise on investment already made in technology to improve their business effectiveness. Clare said that some of the findings show that there is work to be done, and if it is not dealt with, then UK competitiveness will be at risk. She added that 61% of leaders were worried about employees’ fear and anxiety when faced with a changing roles and tasks. Clare felt the aspect of employee fear and anxiety could be centred around a lot of scare stories that robots will replace people in jobs, so it’s critical to show organisations the value of technologic change. She therefore feels the report provides practical steps for organisations to help employees overcome fear, make sure they are embracing technology in the right way and reskill people where jobs may change due to technology innovation. Have a plan, be clear of the reasons for change. Focus on communication and how you tailor that communications, it will be different for different groups of employees. Think about the innovators and change makers in the organisation and how they will continue to work. Give employees an opportunity to experiment, allow them to feedback and act on the feedback to show you are listening. 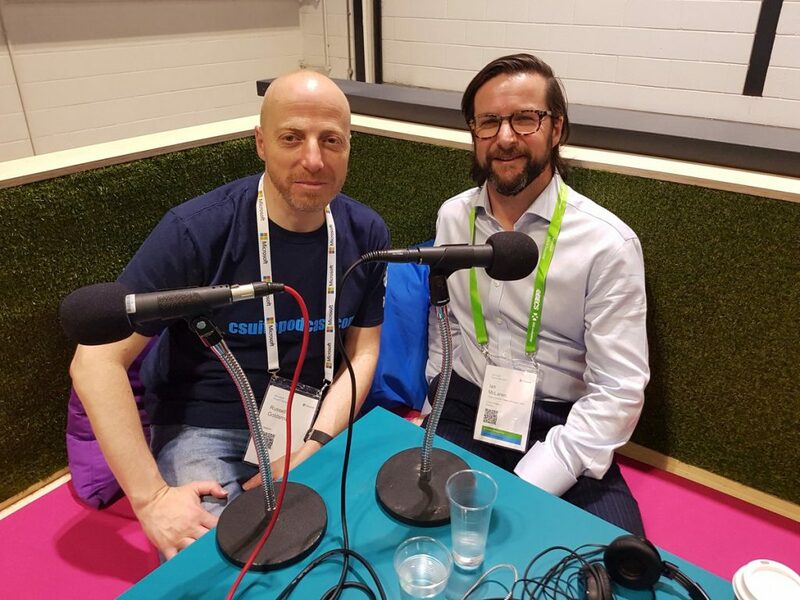 London Midland are one of the big four UK train operating companies and were featured as a case study in the ‘Creating a culture of digital transformation’ report that we discussed with Clare Barclay in the first part of the show. In our second interview at Future Decoded, we spoke with their Finance and Contracts Director, Ian McLaren. Within the Microsoft report, it said that back in 2014, London Midland had made cumulative losses of £7 million, but that the business has been transformed into one that’s now looking to exceed £24 million in profit. Ian explained that the turnaround was achieved, first and foremost, by engaging with their staff. He said that when he joined the business three years ago, one of the first things he looked at was the company intranet, which he described as the equivalent of a dusty bookshelf at the time, with multiple versions of the same documents. 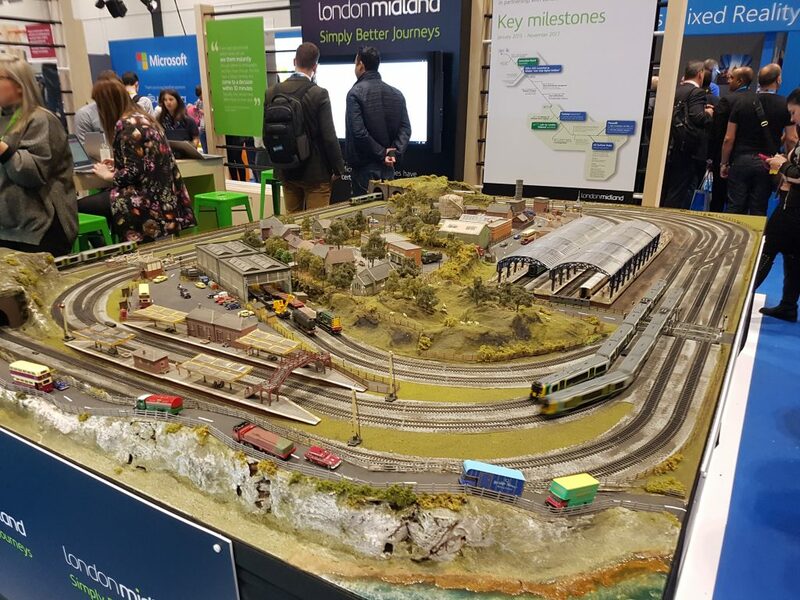 It was from this finding that his team came up with the mantra of ‘One version of the truth’ to enable employees to really understand what London Midland were trying to achieve with the business and where the organisation’s digital transformation journey began. He therefore built a business case to replace that legacy intranet with one built on SharePoint online. This led to a successful role out of Office 365, which delivered the new intranet and positioned the business in way that enabled them to show what their technology ambitions were – they suddenly had a plethora of communications channels after they switched on Yammer and Skype for Business, and after giving everyone an email account, it meant that they went from only have 800 people who used to log into the network, to having 2,500 who could access their ‘one version of the truth’ giving them a massive step change across the business. As a result, Ian said that engagement within the company has increased. For example, the number of employees responding to the company survey has grown from less than 50% to 76% this year. The delivery of the new intranet and Office 365 was the first phase of a three-stage project. Ian explained that the project had the mantra, ‘Connect, Share and Grow’. ‘Connect’ meant creating the infrastructure in the form of the Office 365 deployment and ‘Share’ involved providing a huge number of devises and training to staff, replacing legacy Blackberry devices with Windows 10 devices. They used Microsoft Intune to control what people could get access to, ensuring there was a consistent approach across the business, plus they deployed Surface Hubs too, which for Ian, is when, as he described it, the magic started to happen for them. Ian said that as the Surface Hub screens became the virtual water cooler for the business, where people would gather round and drill into data and information that they previously hadn’t seen or had access to. In terms of changing the culture in the organisation to help bring employees on the digital transformation journey, Ian said that deploying Yammer across the business was a big influence where they started a very honest conversation with employees, who embraced it. He added that as for the Exec team, this process has provided a lot more trust and belief in both directions and a lot more engagement with people, plus has made them a lot more accessible and visible, with more views and opinions being heard. Within the report case study, it said that average age of the Rail industry is 48. However, Ian said that whilst London Midland may have an aging population in their Fleet Teams, they have also approached the Prince’s Trust plus they have a big apprenticeships programme [bringing in younger people]. Therefore, they haven’t faced any problems in staff embracing the changes as the dynamic has been that the older fleet engineers are teaching the younger members of the team the problems of rolling stock or specific problems on the trains, whereas the younger guys are teaching those older members of the team how to use the technology that’s been deployed across the business! The result has been that people are becoming more trusting of the technology and embracing it quickly. One thing London Midland did do, however, was within that three year period, they stopped for six months to allow people to catch up, plus Ian said that they continually review personas to understand how people are using the technology and as the technology continues to move more rapidly, try to understand how they need to change what they’ve deployed or what technology is now more available. Ian’s advice for people in a similar role or industry to him who are at the start of their digital transformation is to not procrastinate and to get on and do it! He feels you need to create an environment that enables both your voice to be heard but where you can listen and understand how people are using the technology too. He also advised to talk to some start-ups or to talk to people outside of your industry to get a different perspective and approach. 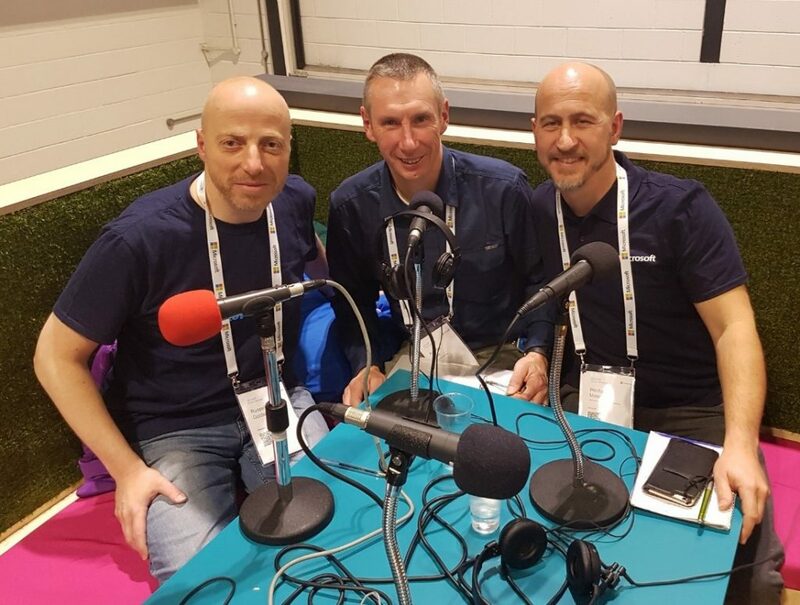 In Part 3 of the show, Russell was joined by Hector Minto, Microsoft’s Accessibility Evangelist for EMEA and Andrew Cook, Microsoft’s Senior Product Marketing Manager for Firstline where they discussed the importance of giving access to the digital revolution to Firstline workers, who make-up approximately 80% of the global workforce, around two billion people. Firstline employees are typically not at a desk, i.e. ground crews, shop assistants, factory employees, truck drivers etc, and in many cases, will tend to be the closest people in the business to the customer. As Andrew explained, they will often represent the brand or experience to them and we therefore must ensure that customer experience is positive because, due to social media, negative experiences can be amplified very quickly. Fostering community and culture – many firstliners are disengaged with the company and their corporate mission. Training and upskilling – achieving this in a scaleable and flexible way that’s accessible through mobile devices, for example. Digitising the business process – for example, using an app to provide the ability for an organisation to know if workers have turned up to a construction site so that they can bill them out. For something like this, Andrew suggested using Microsoft Powerapps and Microsoft Flow to enable a ‘check-in, check-out’ using GPS to validate someone was actually there on the job. Minimising risk and cost – firstliners may not be as comfortable with technology as those using it every day at a desk and therefore Andrew said that you will want to minimise the number of support calls that come into your help desk, for example, providing self-resetting passwords. Harnessing the expertise and knowledge within the workforce – firstliners have a great deal of experience with the customers that they can communicate, but it’s not always easy to gather it. Andrew told of a story he heard on the plane on route to FutureDecoded from an air stewardess who, when she worked in retail on a cruise ship, served a customer who had made a purchase that they had to sign for, but that the customer didn’t have any arms. She therefore asked the customer how she would like to sign for what she was buying, and the customer responded by asking for the pen to be put between her toes, at which point she proceeded to sign for the goods. The air stewardess continued her story to Andrew and said that when she then spoke to a colleague in another retail store on the cruise ship and relayed the story of this customer, he colleague had said she was aware of her, but that she hadn’t bothered to ask how she could sign for goods as she just assumed that she would be unable to. Andrew therefore said the issue is to not assume and to simply ask but that in this instance, a social tool such as Yammer would be a great example of how to share that story so other colleagues will get to hear it. From an accessibility point of view, disability is not a niche topic. Hector said that there are over a billion people with a disability and that it isn’t just employees but customers too. He therefore believes the best way to understand how to make things easier and more accessible to people with disabilities is to employee people with disabilities on the frontline and making their workplace accessible. He added that many people with learning disabilities often find themselves in firstline jobs, but won’t live a digital experience. However, technology is going to play a role to enable them to live successful lives and Microsoft therefore has to find a way to deliver information to all needs, i.e. for someone who is colour blind or has low vision, or doesn’t have English as a first language. Hector also talked about the issue of recruitment of people with disabilities. He said that if people don’t understand the lived experience of someone with a disability, it’s very easy to make decisions on their behalf. For example, you might not give them a job because you assume they cannot access email or you assume their English isn’t good enough to work in that environment. However, he added that technology can help play a role in removing those perceived barriers in the recruitment process. People with disabilities are more likely to be in firstline jobs than in executive roles, and therefore he believes a way to solve the global disability employment gap is with projects like Firstline. He therefore said that perhaps someone’s first experience of a website that reads to you or translates for you, will come in that job, once digital tools are put in the hands of employees with disabilities. This will have a major impact on their life at home and once they take the technology home, it will influence friends, family and schools, which in turn will mean in the next generation, when people turn up to work, they will simply ask for the solutions, i.e. a translator or immersive reader built into Microsoft Office, rather than waiting for someone to give it to them. Andrew gave a couple of examples of how Firstline benefits different sectors including how AccorHotels uses Microsoft StaffHub, a purpose build application for Firstline workers, to give staff access to training, schedules and videos from the CEO and how DIY store Lowe’s uses HoloLens to enable customers to envisage the design of a new kitchen. Hector felt it should start with education. He said that the workplace doesn’t have to include people with disabilities, but that we have to find ways of demonstrating the benefits of doing so. However, schools have a duty of care [to be inclusive] and are embracing technologies. For example, if a teacher uses something like an immersive reader for one child who perhaps is dyslexic, they may then realise that it can also be used for a child where English is not the first language. He is therefore looking forward to the generation of kids that leave school all on a level playing field. Andrew said that Microsoft’s research with Gartner showed that 78% of organisations realise that it is critical for their future to digitise firstline workers. He feels this has to start at the top and be fed down through the organisation – if you are not meeting your customers’ needs, your competitors are. His final message was ‘Hydrate or Die’ and digital transformation is the water. Patience explained that Dentsu Aegis Network has around 40,000 people working across 24 different time zones. Since 2013, the group has acquired over 100 companies and naturally that brings with it a number of challenges on geography, technology and processes, particularly when going through digital transformation too. Patience said that when you have many acquisitions, you will always get some resistance to change and whenever a company is bought or goes through a merger, some people will say “we used to have this” or “we used to have that”. However, by using Microsoft Teams, they can now have a conversation and if a newly acquired company is on a different set up, they can still collaborate from the start, using external sharing. In terms of rolling out changes across the group businesses, Patience said that rather than controlling all the various applications too tightly, or turning off all the new features that come on board, she gets less headaches by letting things move in the natural devops or continuous roll out manner that it should be. They therefore try and test an app on a mac, PC and mobile device when it comes into first release of alpha and then move through to a beta as soon as possible. However, her beta programme has early adopters and anyone in the business can request access to the new apps. This means that she gets valuable insight from across the business on why those individuals wanted to use the apps and what is it that their teams are missing that they needed. They then move through to General Availability as soon as possible and then share success stories across the business using Office 365. Patience explained that they use Microsoft Flow to automate a lot of the work, Microsoft Forms for request processes and Microsoft Teams for technical queries, and as a result have seen a massive response, which has allowed them to roll out many more applications and inform people much quicker.